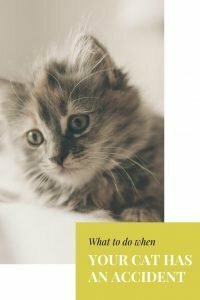 Even if your cat is very well trained, has a sparkling clean litter box, and is completely healthy, there is a chance that it will have an accident outside of the litter box. The resulting urine stain is a pain to deal with but needs to be taken care of right away so you don’t have an even bigger mess on your hands. Here is how to take care of a cat urine stain in your carpets. Act quickly. Don’t wait, take action as soon as the spot is discovered. blot at the stain using clean, white paper towels. Replace the paper towel often to soak up as much urine as possible. Do not use a colored towel or paper towel with a pattern because the dye can transfer to your wet carpet. Do not rub the stain, Rubbing the stain pushing it deeper into your carpets. Apply gentle pressure while blotting instead. Do not use heat. It might be tempting to use a hair dryer to dry the affected area, but this will cause the stain to set and become permanent, as well as make the smell worse. If the stain is dry, pour cold water on it and blot as normal. Even after the visual evidence has been cleaned, the smell might linger. The longer it sits, the worse the odor becomes. Be sure to clean as soon as possible. Sprinkle baking powder over the area. Allow it to sit for a while, and then vacuum it up, repeat until the odor is gone. Apply a mixture of vinegar and warm water to the area. Allow it to the site, and then clean the area with a damp wet towel until the vinegar is removed. Try a store-bought cleaner. There are many products that claim to remove pet urine from carpets. Be sure to test the cleaner on an inconspicuous spot if carpet to make sure it won’t damage or discolor your carpet before applying to the entire spot. Avoid using cleaners with ammonia. Cat urine contains ammonia, and the similar smells could encourage the cat to mark the same spot again. Avoid using a steam cleaning option because steam can actually lock in the smell. Sometimes a stain will be so bad and the damage so deep that no matter what you do, you can’t remove it yourself. This is when it’s time to call in the professional. Adidtionally, if you don’t want to spend time on your hands and knees blotting a urine stain, you can just start here. 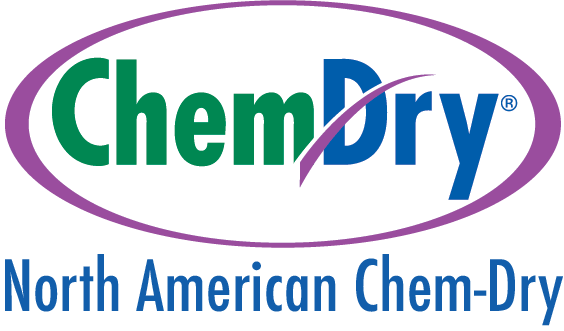 North American Chem-Dry uses a solution called Pet Urine Removal Treatment that has been designed specifically to remove pet urine and bacteria. It breaks down the urine crystals deep within your carpet to eliminate the smell at the source. Don’t settle for cleaners that only mask the smell because it will be back soon. Use a trusted carpet cleaning professional to get the best results. Make sure that your litter is cleaned well and regularly. Cats like a clean environment, much like humans do. Provide easy access to the litter box. Never shut the door to the room with the litter box unless the cat is also in there, and make sure that is a clear path. If your cat is spraying, make it feel secure in its territory. Some cats will spray new furniture, or when a life change happens. Place their items, such as toys, on new furniture to help them adjust to the smell. If a major life happens, be sure to give your cat plenty of attention so it still feels safe. If your cat continues to not use the litter box and you have followed the steps above, there may be a deeper reason at play. There is a chance that your cat’s behavior is caused by a medical condition, such as an infection, digestive disorder, or muscle/joint pain that makes it difficult to enter the litter box. Take your cat to the vet to rule out any medical conditions and for advice on the behavior. Cat urine stains are annoying but if you follow these steps they don’t have to be permanent! You can be back to enjoying your clean home in no time.